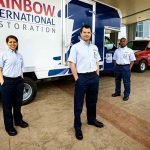 Rainbow International provides a variety of disaster restoration services that include but are not limited to water damage restoration, mold remediation, fire damage restoration, construction services, deodorization, and hoarding cleaning. Each of our technicians have the training and certification to help recover from the aftermath of a disaster and we use advanced equipment and methods to effectively restore homes and businesses to their previous condition. We are proud to have a positive presence in the Harlingen, TX community and we have helped out with several major local projects including water mitigation for Pioneer High School in Sharyland, TX and fire damage restoration for Donna High School. We are available 24 hours a day at (956) 622-7349 to respond to disaster restoration emergencies in Harlingen, TX and the surrounding areas. 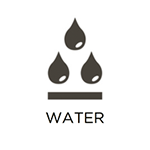 There are many ways in which water damage can occur in your home such as leaks, floods, or high humidity, and it is important to address water damage immediately because the damage could become permanent. 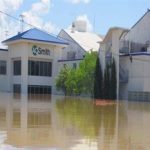 Rainbow International provides water damage restoration services to Harlingen, TX to help mitigate and repair the damage caused by excess water. Our technicians work quickly to restore the water damage and we can also help file insurance claims with one of the dozens of insurance providers in the area that we work with on a regular basis. 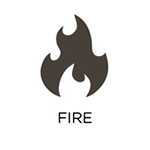 Fires can cause excessive amounts of damage to homes and buildings and they often leave the scene in a dangerous condition after the flames have been extinguished. 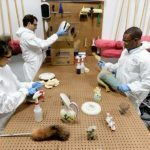 The corrosive byproducts that are left behind can permanently damage structural elements and lingering smoke and soot may damage clothing, upholstery, drywall, and other surfaces. Rainbow International provides fire and smoke damage restoration services to homes and businesses that have been affected by fire. Our technicians are trained to remove soot and smoke damage from many household surfaces and we specialize in removing smoke odor from the structural elements and furnishings of a home or building. Strong odors can occur in a home or building from a wide range of sources such as smoke, floods, pets, and dead animals among others and they can be very difficult to remove. Rainbow International provides deodorization services to remove all types of odors from homes and businesses in Harlingen, TX. Our technicians use several different effective methods of odor removal that include absorption technology, Nano carbon technology, hydroxyl technology, and ozone technology and we also remove the source of the odor to ensure that it does not return. When homes or buildings are damaged by fire or water, the effects of the damage go beyond the structural elements and furnishings to affect your content and personal belongings. Rainbow International offers content cleaning and pack out services to clean and restore your personal items that have sustained fire or water damage. Our technicians will carefully pack up your items and take a detailed inventory to ensure that nothing gets lost and transport them to our facility where we can effectively clean them. We will deliver your content back to you once they are clean and you are ready to receive them. 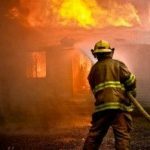 Sometimes a major disaster such as a fire, flood, or accident can cause significant enough damage to a home or building that it is left unstable and exposed. When this happens, it is crucial to secure the building immediately to help protect it from further damage. Rainbow International provides board up services in Harlingen, TX to help secure and protect homes and buildings that have been severely damaged. We will board up every opening, door, and window to stabilize the building and protect it from the elements as you determine a more permanent solution for restoring your home. Several different factors such as severe storms, wind, and fires can contribute to significant roof damage and securing the roof should be your top priority in these scenarios. Rainbow International offers roof tarping services to provide a temporary cover that will protect your home from further damage caused by the weather or vandalism. 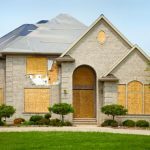 Certain disasters such as fires, severe storms, and accidents cause severe damage to a home or building, sometimes to an extent that requires reconstruction services. Rainbow International provides complete reconstruction services to rebuild and restore severe damage caused by a disaster to homes and buildings in Harlingen. 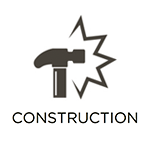 We can handle reconstruction projects of any size in commercial and residential settings and we work within local codes to fully restore your home or business. 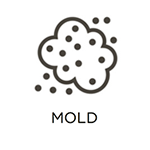 Discovering mold growth in your home is an unsettling experience as it can cause damage to your property and increase the potential for allergies and infection. It is important to have the mold removed as soon as possible and Rainbow International provides mold remediation services in spaces no bigger than 10 feet by 10 feet in Harlingen. Our staff can effectively remove all mold and repair or replace the affected surfaces. 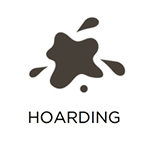 Many people in the United States struggle with hoarding issues and if the hoard of collected items grows too large, it can have serious safety and health implications for the person living inside the home. 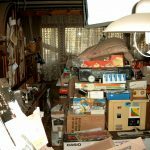 Rainbow International of offers hoarder cleanup services to help the family and friends of hoarders clean out their homes in Harlingen and restore them to a safe, livable condition. We understand the sensitivity involved when cleaning out a hoarder’s home and we approach each project with a sense of caring and compassion. Whether in a home or commercial building, the carpeting plays a major role in the design of the space. 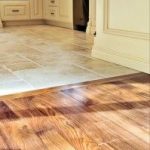 This means that when a carpet is discolored, stained, or noticeably worn out, it can make it seem like the entire building is dirty or poorly maintained. It is important for homeowners and business owners to have their carpeting regularly cleaned by professionals because the consistent foot traffic it experiences will cause dirt buildup and stains that can shorten its life. 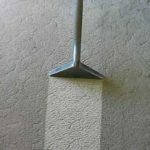 Rainbow International can help revitalize your carpeting and area rugs with our professional carpet cleaning services in Harlingen, TX. Our technicians will effectively treat stains and remove embedded dirt and debris to give your carpeting and area rugs a like-new appearance.